Melbourne Queen V Mkt White Wine Mussels is a Must Try! 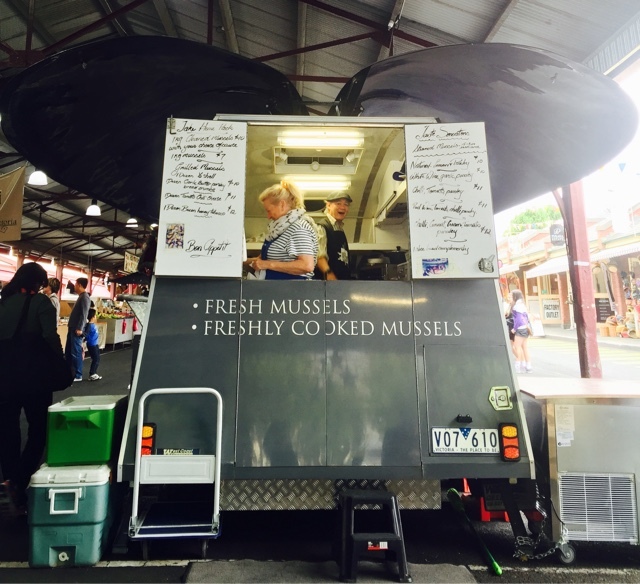 If you are in Melbourne, you must head down to Queen Victoria market not just to soak in the atmosphere of browsing stalls and stalls of interesting crafts for sale and fresh produce, you just have to try their Freshly Cooked Mussels. It is the best I have ever tasted in my life, many times better than Singapore Brussels Sprouts. White Wine Mussels was sublime! The mussels are dipped in the white wine broth which is so heavenly that I am at a lost for words. The sweetness of the wine, combined with the light fragrance of parsley and garlic, is perfect with the plump, chewy mussels. Every slurp of my mussel brought a smile to my face. There is none comparable to this standard. 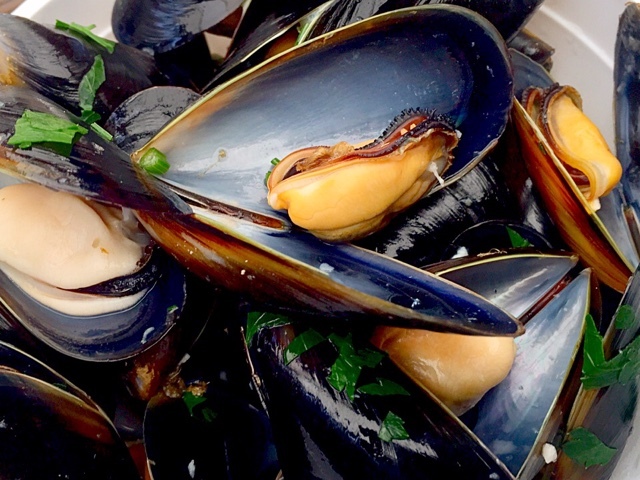 Don't miss this plump and juicy mussel! 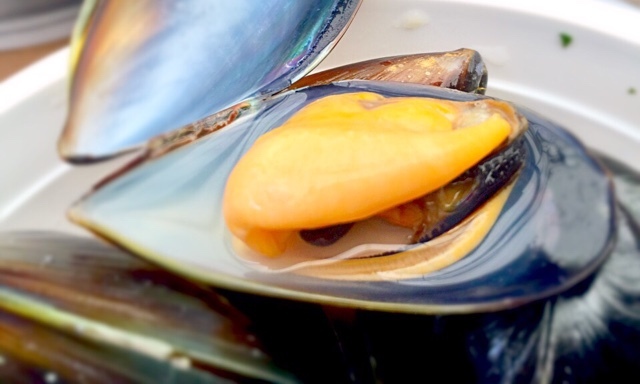 There are two types of mussels and each type is equally fresh although the orange looking one looks more appetising. For a reasonable amount of aussie dollars, I got a bowl of mussels enough for me to worry if I could finish them by my own. The lady boss pointed to a lady seated on the bench polishing her bowl of mussels on her own and assured me that it would so delicious that I would have no problem. Guess what! It was totally true! I managed to finish my many mussels slurp after slurp. Please remember how this stall look like because I hope you would get to enjoy what I enjoyed in Melbourne Queen Victoria Market. Don't forget to buy Australia mangoes - very sweet too! Longtime market selling food, clothing & more in a historic landmark spanning 2 city blocks.